Former British Lion and Osprey favourite, Ryan Jones, took part in a charity abseil down BT Tower in Swansea on Saturday, 22 October to help raise money for Children in Need. The former grand-slam winner and Welsh captain was among 50 brave adrenaline seekers who abseiled 60m down the 11 storey Swansea landmark with the aim of raising £10,000 as a group for the charity. Among those joining Ryan in his endeavours was BT Cymru Wales director, Alwen Williams; Future Generations Commissioner, Sophie Howe and Caroline Jones AM. 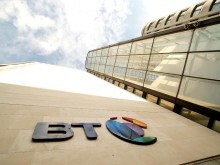 A total of 27 BT staff, who typically spend their time working inside BT Tower rather than navigating their way down its exterior, were also among those that took part in the charity abseil. Alongside the abseil – which was organised by Porthcawl based Mistras group - spectators were entertained by singers Rebecca Hurn, Leah Fox and Emily Jehu in addition to face painting, an auction and bunjee running.